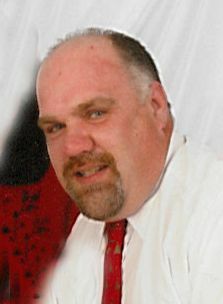 Brian Jon Nowland, 55, of Alpena passed away Wednesday, January 16, 2019 at his home of an apparent heart attack. Brian was born on December 2, 1963 to Leonard and Joyce (Gapske) Nowland. He has been employed at Fiber Char for the past 23 years. On October 7, 1989 he married Carol Szymanski. He enjoyed hunting, fishing and riding quads with his daughter, Stephanie. Surviving are his wife, Carol; daughter, Stephanie; mother, Joyce Nowland; father-in-law, Gary (Lorraine) Szymanski; brother-in-law, Randy (Mary) Kruse; nieces, Jessica (Paul) Payne and Chelsie Kruse. Brian was preceded in death by his father, Leonard; and mother-in-law, Marilyn Szymanski. Visitation will take place at the Bannan Funeral Home on Saturday from 11 a.m. until the time of the funeral service at 4 p.m. with Rev. Joseph Muszkiewicz officiating.